When was the last time you applied for a job and clicked on the drop down menu and saw Employee Benefits as an industry choice? Alternatively when was the last time you filled out a company profile form and saw Employee Benefits as a category option? That’s right you haven’t! What does this omission mean for employees and employers alike? A likely conclusion is that the HR industry still does not adequately recognise Employee Benefits as being important enough to merit a sub-category of its own. 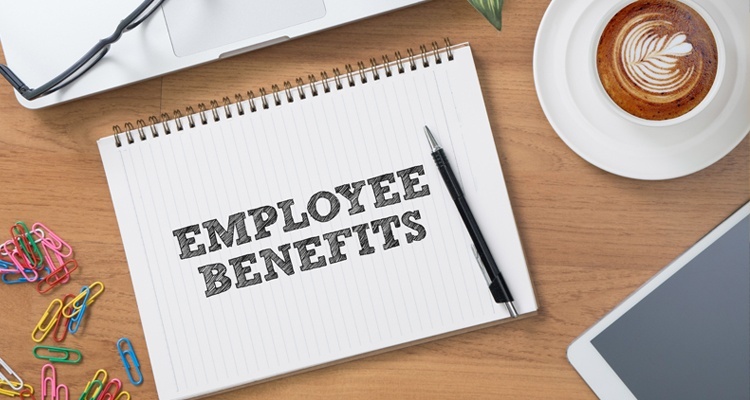 There seems to be a lack of recognition for the Employee Benefits concept despite its overarching influence it plays for companies and its most important asset, its staff. So why is it important Employee Benefits is given the proper recognition they deserve? Simply put – they are the way forward! Employee Benefits are non-salary compensation that can vary from non-cash rewards to employee perks, salary sacrifice schemes and much more. They are an additional way to treat and reward employees, it’s a way to show you care as a business and want to provide a holistic package that matters most to your employees. Creating an environment where employee benefits are top-priority is a crucial investment for any organisation, as happy employees are productive employees. Employee benefits are one of the most successful ways to increase employee engagement, and employee engagement is imperative for increasing productivity and morale in an organisation as it pushes employees to do more and creates a corporate culture that employees are proud to be a part of. The working industry should place an emphasis on getting employee benefits formalised per se, as it is the umbrella encapsulating looking after employees. Providing employees with enough incentive maximises efficiency, and providing benefits that stretch beyond the legal requirements tend to be the most effective. When looking for jobs, employees are searching for an overall package where they are remunerated properly, plus additional employee benefits that make the company more appealing with a competitive advantage. Their first priority is often ensuring proper remuneration, but what differentiates two companies that are offering equally competitive financial packages? Attractive additional employee benefits allows a business to stand out against their competition. These employee benefits could include anything from paid vacation days to health plans and discount perks. On the flipside, employers are always after acquiring skilled and dedicated employees who will create a strong foundation and propel your business forward and employee benefits will attract the right caliber of staff. It’s difficult for companies to move forward when employees are constantly coming and going and turnover is high as there is a lack of continuity in work flows and projects. With a proper understanding of employee benefits by the people who matter in the HR segments of businesses, perhaps that can be the catalyst for a wider recognition of the employee benefits sector as a whole. And who knows, the next time you fill out an application form, you may well find employee benefits has a category on that drop down menu. Xexec is a leading Employee Benefits provider with over 20 years of experience. If you’d like to know more about Employee Benefits and how they can impact your business, simply get in touch with one of our Engagement Specialists.